True story: Two first grade boys were waiting to use the restroom and decided to kill some time by reading the words on the wall. They wanted to see who knew the most words. (Boys like to compete). This was a risk as it was “Quiet Time” in the hall. One of the boys began reciting the words and the teacher immediately said, “Shhhhhh! Be quiet!” The boys complied, for a while. A few minutes later, they started again. At this point, the boys were crushed. Then one raised his hand to ask a question. I didn’t like the way he phrased his question, but his question is a really good one. After school, I met with the teacher involved in the “Word Wall” incident. Together, we discussed what happened. 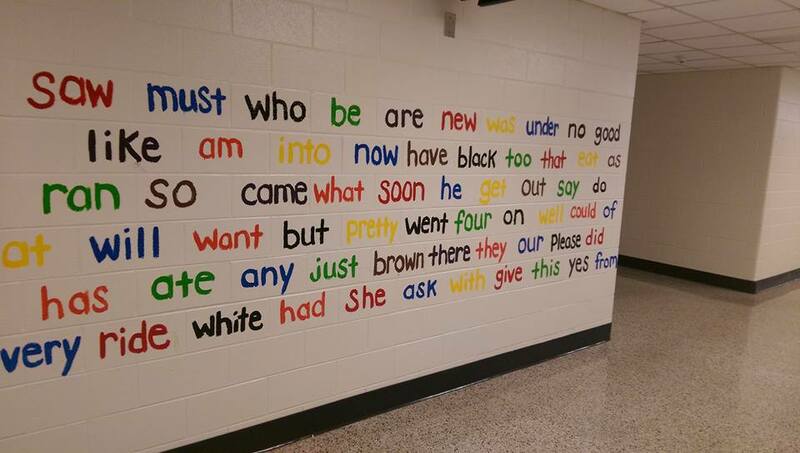 She admitted to me that she didn’t initially realize the boys were reading the words on the wall. The boys were known as “trouble makers,” so when she heard noise coming from their mouths, she assumed the worst. After our discussion, she realized that she could have let the boys quietly continue. Now, this teacher encourages discussions at any time, and students get points if they’re caught using the vocabulary words in conversation or writing. That’s how you build boys!